The hubris of the biotech industry is unprecedented. While mother nature and the system of plant evolution has taken thousands of years to perfect in a symbiotic, subtle and intricate dance between ‘pests’ and ‘plants,’ the industry supporting Monsanto, Syngenta, and Bayer have wiped this development out in 30 years. Biotech created superweeds with their ‘scientific’ self-confidence, and they want to ‘solve’ a problem they still haven’t admitted creating with even more chemicals. Science magazine exposed the biotech industry with their article, “What Happens When Weed Killers Stop Killing,” outlining just what farmers have to look forward to if we allow biotech to continue on this path they have us all complicity consenting to. 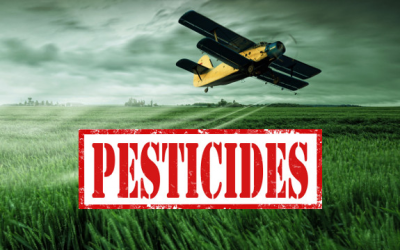 Over fifteen years ago, experts warned what would happen to the soil, and to weeds themselves if we allowed herbicide-tolerant GE crops to be planted, but for some reason (thanks to propaganda), no one listened. The most prevalent superweeds growing on farms now are due specifically to Monsanto’s RoundUp chemicals. US farmers are now literally flooding their fields with poison in order to get rid of the superweeds created with – can you believe it – the same biotech poisons which caused the problem in the first place. “Tom Philpot, writing in Mother Jones (Feb.6), reports the alarming stats on the superweed takeover of US farmland. As of 2012, almost 50% of US farms had superweeds. In 2011, it was 34%. In Georgia, it’s now 92%. You got that right, what was once half the formula for Agent Orange – 2,4-D – will now be sprayed on crops to get rid of the superweeds that Monsanto’s RoundUp chemicals caused to grow, and our EPA is actually considering allowing this ridiculousness. 2,4-D is associated with increased cancer risks (among other things), especially for non-Hodgkin lymphoma. It is also a potent neurotoxin and hormone-disruptor. Studies show that exposure to 2,4-D can also cause more frequent incidence of Parkinson’s disease, reduce sperm counts, and an increase in birth defects. An unprecedented increase in 2,4-D would inevitably pose risks to public health, farmers, and the environment. Haven’t we had enough, yet? Half of a chemical is an entirely different compound. Even chemicals which are mirror images of each other (isomers, look it up) have radically different effects, despite being containing the exact same number of atoms in the exact same order. Something as simple as a double bond in a complex hydrocarbon makes the difference between saturated and unsaturated fat. In other compounds, the difference is even more remarkable.